Technology leads the marketers to accelerate their growth in the market. As applications are the new faces to the organizations gear their path to in the business world, also changed the concept of using smart phones. Companies have to focus on the designing the app as well as the use of the apps by the consumers. 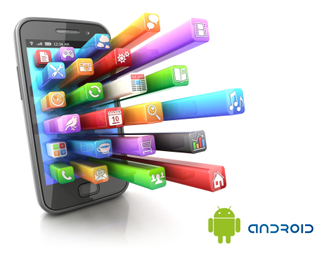 It requires lot of critical thinking to make the app worth using by the consumers. The industries like banking, education, apparels etc. are generating the advantage by generalizing the customized needs through the search behaviors of the consumers, at the same time they have to act like a watch dog for their applications. Today the world is getting smart this is due to the enhancement of technology in the mobile world. Entry of Apple, Samsung, blackberry, Nokia have totally changed the concept of using mobile phones. Anyone of us must have not thought of such an innovation. It is not only restricted to mobile but the use tablets, smart TV, gear watch have gave a boom to the world of applications. Compatible with popular and most used user interfaces like if not compatible with android, Windows, IOS then how a prospect could use, and how many could use? So have to hit as many as numbers for, SO FAR SO GOOD. It is rightly said “Slow and steady wins the race! Really? Apps are made to make things faster not showing down and irritating so mind the time and speed. The uses of applications have changed the scenario of business world. Everyone having a smart phone is surrounded by different apps. One can have everything at his phone, apps of the banks have made banking more easy and faster, apps of online shopping like flipkart, eBay, snap deal etc so if you want to buy anything it’s a thumb away, not only this one can now watch movies, TV shows, listen to music, recharge their phones, read books, can do trading on stock market, buy or sell the used goods, write notes and even use MS office by the use of apps. But is that true that all the applications on Google play or Apple store are user savvy? The answer to this question will be NO. So, what can make the apps more useful and customer centric? Customers do get attracted to the offline features which make things really useful. As the increase in the usage of 2G or 3G data and a continuous increase in the price of the data plans people demand for more and more offline features in the apps. One of the best application which almost everyone use today is Google maps that offers quality map, traffic, transit and navigation services, a lot of which can be accessed offline as well. Another feature which adds value to the application is advertisement. Too much ads while using app or after downloading the app will always motivate anyone to uninstall the app. Advertisements are to attract the prospect not to make them uninstall the app. So keep the ads n their frequency an important issue. Fix the bugs. It is the most commonly read phrase but did you really did things right? Most of the times customers complaining that PREVIOUS VERSION WAS BETTER, so refrain from removing LOGICAL, USEFUL, and MAIN FUNCTIONING FEATURES of the app. So fix the bumps remove only the unwanted. Approach only the trustable source of downloading doesn't matter whether your app is free or chargeable. Because many people for security reasons adopt in their phone settings TO TRUSTABLE SOURCE DOWNLOAD. So set your standards also. Cheap ways can cost you more sometimes. Size of the apps matters. Managing the heavy app by the user in the phone space is the cumbersome task, wanting the space in the life of the customer could give you the idea to precise your app size. Server is the lifeline. It is very important for continuous business and building strong image among customers that your app always, from every device connects to the server for excellent experience. “You fail to SERVER, You fail to SERVE, You fail to SALE”. Making for Rocket scientists? Apps are made for making the work fast and easy but, if the app is not easy to use or follows too much steps might give you an unliking gesture from the business. Follow the KISS (KEEP IT SHORT & SIMPLE). Appearance does matter. The logo of the app and appearance while working on app also gives the equal weight as per your product. Make it cute, charming, and impressive but don't deliver a clown image of your app. Sometimes the experiences are too frustrating. The user of today needs the one click to find their solution if not they immediately finds the new solution, so it could THE OPPORTUNITY OR THREAT from the consumer. Creditability building to the organization. To deliver the services to the customers and expect the satisfied feedback requires the efficient working of apps as they act as link between the companies’ resources and the customers needs. Generalizing the thoughts of customers’ searches. The customers of today's require the multichannel to get the customized products and services the apps are the gear full resources to generate the ideas into realizable strategies. 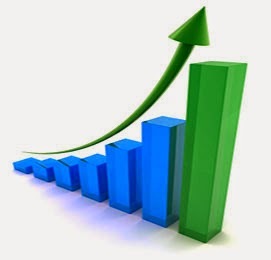 Getting satisfaction helps the companies to cultivate more revenues from their customers at every stage of delivering. But in the process apps like banking apps, online shopping apps, many other faces the high rate competition, so to meet their efforts companies still works on to improve their apps to make them user-friendly by observing the different buying behaviors and purchasing powers of the customers. Customer engagement tool fosters the opportunities for the self-serving the customers by using the instructions and technology. It also helps to build your brand identity into customer services experiences by providing them the medium or channel for self-service which saves the users’ time and even boost their satisfaction. These apps of today can give the revolution into your working strategies or could give distortions into it. So making apps is the easier way out but converse them into customer satisfaction is the ultimate challenge.